You are here: Home » News/Resources » Women’s Smoking Deaths at All-Time High in U.S.
(HealthDay News) — American women who smoke have a dramatically increased risk of death from lung cancer and chronic obstructive pulmonary disease (COPD) than they did 20 years ago. Compared to women who never smoked, a female smoker’s risk of death from lung cancer is almost 26 times higher now. In the 1980s it was about 13 times higher, and in the 1960s a female smoker’s risk of death was only three times higher than a female nonsmoker’s, according to new research. This greater risk of death is likely because of women starting smoking earlier, smoking more each day and smoking for longer periods of time, said the study’s lead author, Dr. Michael Thun, vice president emeritus at the American Cancer Society. The risk of death for male smokers in the United States has increased less dramatically in recent years, and women and men now have comparable risks of death compared to nonsmokers. Male smokers face a 25 times higher risk of death from lung cancer than nonsmoking males. In the 1980s, that number was 24 times higher and in the 1960s, it was 12 times higher. “These increases have been large enough to offset medical advances that have reduced the risk of death in the rest of the population,” said Thun. Deaths from smoking-related diseases have also risen in recent decades. The risk of dying from COPD, a group of respiratory diseases including emphysema, is 26 times higher for male smokers today and 22 times higher for women compared to those who never smoked. The good news from the study, however, is that “quitting smoking at any age dramatically reduces mortality. 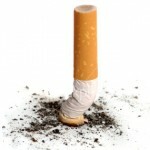 And, smokers who quit by age 40 avoid almost all of the excess risk of death from lung cancer and COPD,” said Thun. Results of the study are published in the Jan. 24 issue of the New England Journal of Medicine. Thun said the new findings also show that light or mild cigarettes, which were marketed to women as a potentially healthier option, are no safer than regular cigarettes. “The marketing of light and mild cigarettes emphasized that they had lower tar and nicotine, to persuade smokers they didn’t need to quit. But, light and mild cigarettes failed to prevent lung cancer risk, and may have exacerbated COPD mortality risk in men, by causing them to inhale more deeply,” said Thun. He also noted that cigarette advertisers effectively co-opted the aspirations of feminism by suggesting that smoking could be equated with female independence. Change will require advocates, said Schroeder, director of the Smoking Cessation Leadership Center at the University of California, San Francisco. But, gaining momentum isn’t easy because of the stigma that smokers have brought this on themselves, even though most get hooked when they’re young and their judgment isn’t good, he noted. 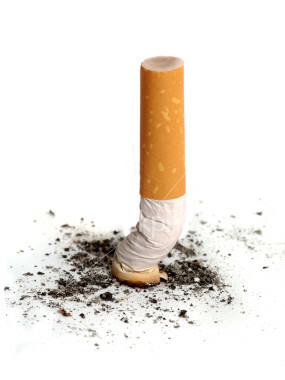 What’s most important to remember, both experts said, is that smoking cessation works. When people quit smoking, their health improves dramatically and their risk of dying decreases. A second study in the same journal issue found that lifetime smokers lose an average of about 10 years of life compared to people who never smoked. But, that same study found that people who quit between the ages of 25 and 34 gain an average of 10 years of life compared to those who continue to smoke. Even if you quit at 55 to 64, you still reap an extra four years, according to the study.